Christian lived by his personal slogan to do “One More”. Christian was an accomplished student, tenacious athlete, and good friend. one more lift, one more math problem, or helping one more friend prepares a person for success. 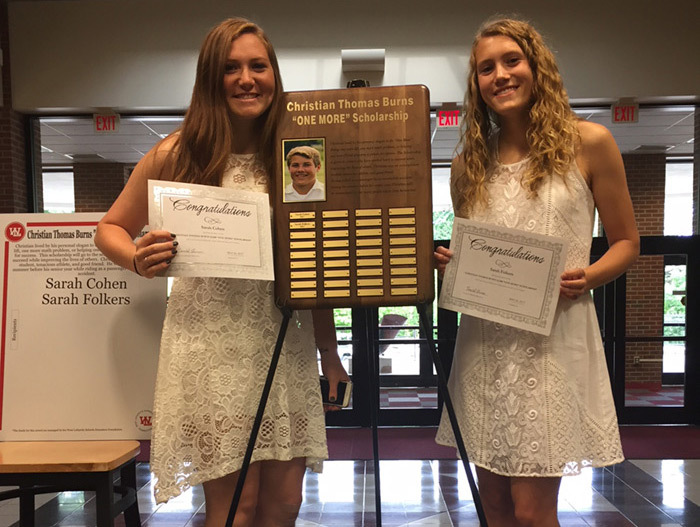 This scholarship will go to the WLHS senior who has worked hard to succeed while improving the lives of others. Please list Christian Burns in the Comment Section.